Happy Monday everyone! I hope you all kept warm this weekend. New York City was freeeeezing! My boyfriend and I had a big date night on Saturday, starting off at 5 Napkin Burger. I had their original burger with sweet potato fries and I have to say...yummmm yum. Then we went to the movie theater to see Gone Girl. I read the book so I knew what was going to happen, but the movie still managed to keep me on the edge of my seat. I was seriously impressed by the acting and the way the movie was filmed. We ended our night at Max Brenner, of course. We ordered the Urban S'mores and let me tell you, I had so much fun with these! 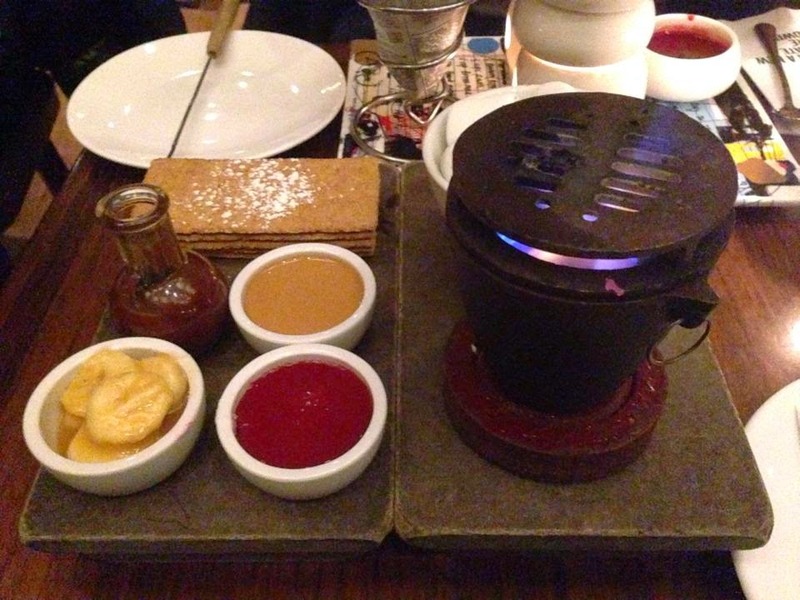 They brought out marshmallows, graham crackers, pure melted dark chocolate, toffee bananas, warm peanut butter sauce, and raspberry sauce, plus that cute little grill thing to cook the marshmallows. 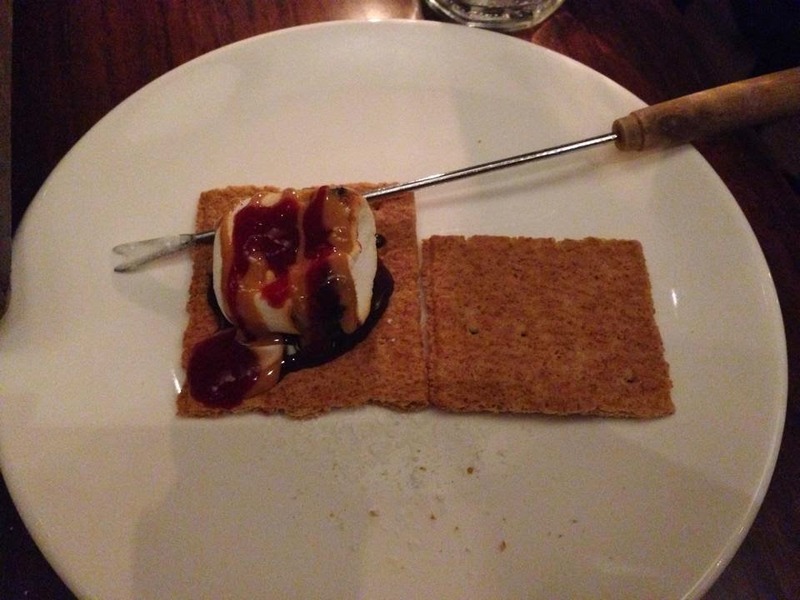 The bf was making fun of me because I spent at least 5 minutes putting one s'more together. 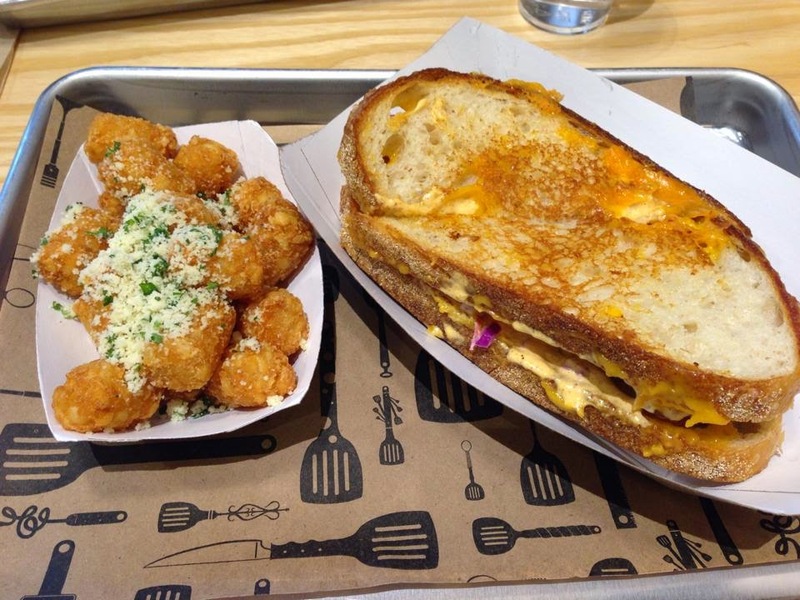 Now to top off this glutton-fest we went to The Melt Shop for lunch on Sunday. They do grilled cheese, tater tots, and milkshakes, along with a few other things. The menu is small but everything on it looks amazing. We both ordered the fried chicken grilled cheese made with chicken tenders, pepper jack (I substituted cheddar), red cabbage slaw, and their Melt Sauce on sourdough bread. We also ordered the shop tots which are just tater tots with parmesan cheese on top. It was so delish. Looking at this picture is making my mouth water! After all that eating I think it goes without saying that I'll be taking it easy on the calories this week. 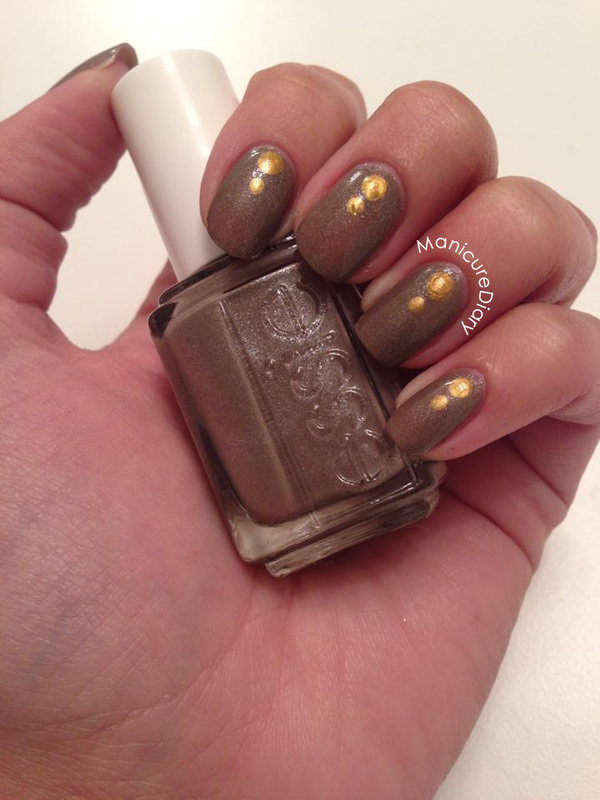 For my nails I decided to pull out an old favorite, Essie Mochacino. 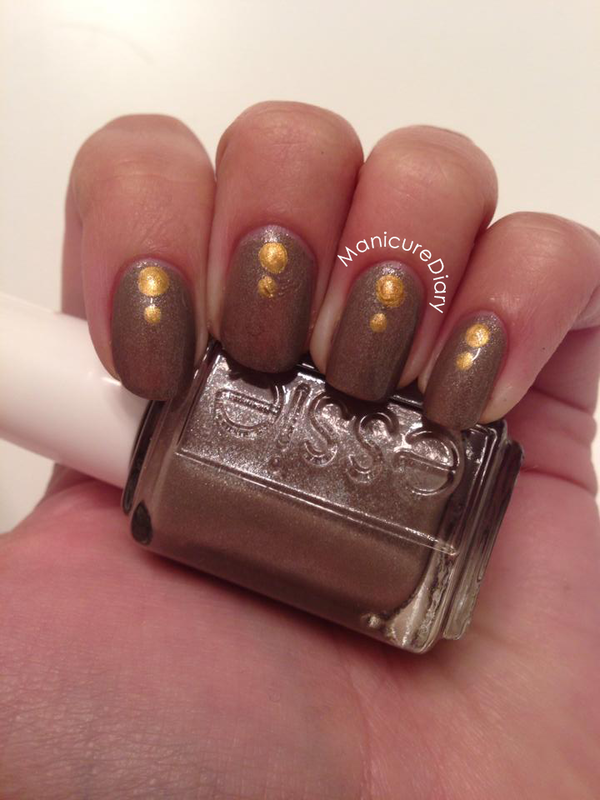 This is such a pretty shimmery taupe-y brown/gray. It works great as a neutral with a little something extra. I accented it with gold dots and I love that they look like tiny rocker studs! 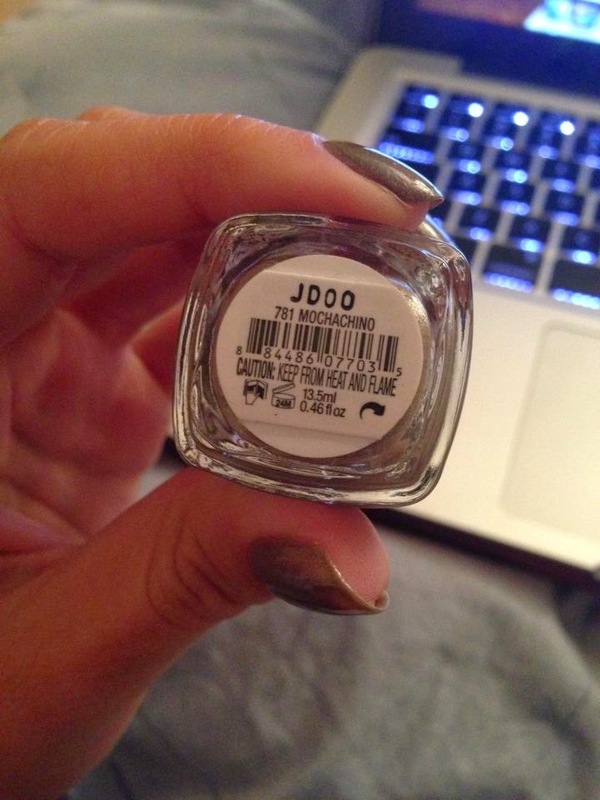 While I was writing this post I noticed that the spelling on my bottle's label is wrong! Funny, huh?